October 17th, 2017 was a truly memorable day for me. I had the opportunity to enjoy some wonderful Scotch Whisky Expressions from the Macallan and Highland Park distilleries.The tasting consisted of three Whiskies from the Macallan group of Whiskies and two from the Highland Park group. Cameron Millar, Portfolio Manager for Edrington Americas was our leader, educator, and whisky companion. It was a delight to have his wealth of whisky knowledge available to us. Our first sampling was The Macallan Double Cask 12yr Old, a Highland Single Malt, put to rest for at least 12 years in sherry seasoned American and sherry seasoned European Oak casks. The finish: The oak lingers, warm sweet and drying. This is a smooth, easy drinking whisky. I would have guessed it to be older than 12 due to it’s overall gentle nature. For a relatively young whisky it is very worthwhile in every way. The Cask Debate is an interesting new world vs old world dispute. Does the hard American white oak with its tight grain embrace the whisky more successfully than the looser grained longer growing European oak? Next we sampled a soon to be released The Macallan Edition No. 3. It is not often that I have the privilege of enjoying a preview event like this. This whisky comes in a bright Lamborghini striking Yellow box. For this whisky The Macallan Master Whisky Maker Bob Delgarno and Master Perfumer Roja Dove combined a mixture of 5 first fill casks and 1 second fill cask. European and American oak casks were used. Sherry casks and ex Bourbon casks worked their magic to provide a complex aroma and taste. It is bottled at 48.3% ABV. Adding water will bring out the summery lemon zest flavor the the box colour represents. On the Palate: Vanilla continues intermingled with sweet fruit, rich fruit cake and raisins along with lemon zest, toffee, and fudge. For our last tasting from The Macallan Distillery we were treated to The Macallan Rare Cask. This is another No Age Statement Whisky at 43% ABV. It was the most expensive whisky out of the 5 we sampled and gets its Mahogany Red color from the 100% Sherry seasoned casks which are 10 times more expensive than ex-Bourbon casks. Some of these casks used for Rare Cask will never be used again as they are from cooperages and bodegas that no longer exist. Rare Cask is crafted from 16 different Cask styles, which are predominantly first fill American and Spanish oak of various sizes. The Casks, according to Macallan, account for the whisky’s distinct depth of flavor and rich character as this whisky is 100% natural colour. On the nose: Vanilla, raisin, cinnamon, dark molasses and toffee aroma that gives way to a sweet apple,citrus lemon, orange and with nutmeg and hints of ginger and clove in the background. It’s basically Christmas in a bottle. On the palate: A whisky that you can “chew” with a complex of vanilla, chocolate, coffee, cinnamon, black cherry and black pepper, spicy citrus that lend it to be like sipping a mulled wine in front of a fire on a snowy winter day. This was one of the favorites of the day. Another Rare Cask Whisky from Macallan is The Macallan Rare Casks “Black”. It is out there but extremely hard to find. This Rare Cask Whisky uses pre WW II casks from a time when Macallan used more heavily peated whisky. Our second to last tasting of the afternoon was Valkyrie from Highland Park 45.9% ABV No Age Statement. It comes in a quite striking bottle in a nice looking box. 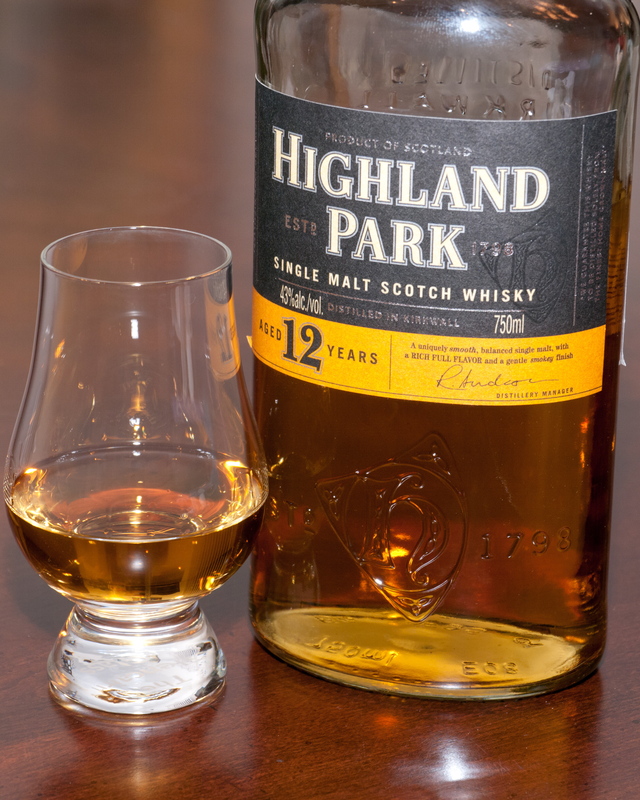 Highland Park Distillery is located on the northern Scottish Isle of Orkney where it’s very windy and rocky so windy that nothing higher than heather can grow there. The peat from Orkney is quite different than the peat from Islay. On the palate: Vanilla with spicy pepper notes, light ginger spice, and Dark Chocolate with a salty peaty taste there is some sharpness due to the higher ABV Adding some water really smooths this one out. Our last whisky of the day was the highly sought after three times spirit of the year winner, Highland Park 18 Year Old. This Whisky has no color added, is aged in American and European sherry seasoned oak casks, and is 43% ABV. 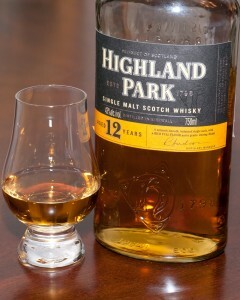 The HIghland Park 18 year old was a great way to wind up the tasting. My personal favourite for the day was The Macallan Edition No. 3. I look forward to being able to buy it locally. Perhaps in time for Christmas? I’d like to thank Glen Le Capelain from Beam Suntory for the invitation, and Cameron Millar for the excellent presentation and tasting experience. The Food and Beverage Restaurant in Walkerville did a great job of hosting this exceptional Whisky event. New Brunswick Drive Through Adventure! Two New Brunswick men have been arrested after allegedly going through a McDonald’s drive-thru on a couch. Miramichi police said an officer spotted the couch, being towed behind an ATV, at 3:19 a.m. Thursday in the drive-thru. “And when (the officer) put his lights on, of course he took off, the four-wheeler did, with the sofa still attached. But he left his two passengers from the sofa at the drive-thru,” Cpl. Lorri McEachern said Friday. The driver raced through the parking lot, across the highway and onto the frozen Miramichi River, still towing the couch through much of his escape, she said. “He got away, but they got the four-wheeler later on that day and seized the four-wheeler, so now they just have to locate the driver,” she said. Two local men, aged 28 and 39, will face yet-to-be-determined charges. McEachern said it is illegal to tow a couch through a drive-thru, but the two men were wearing helmets. “So obviously safety was somewhat important,” noted McEachern. 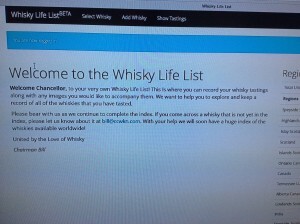 The Whisky Life List, Your Personal Archive! 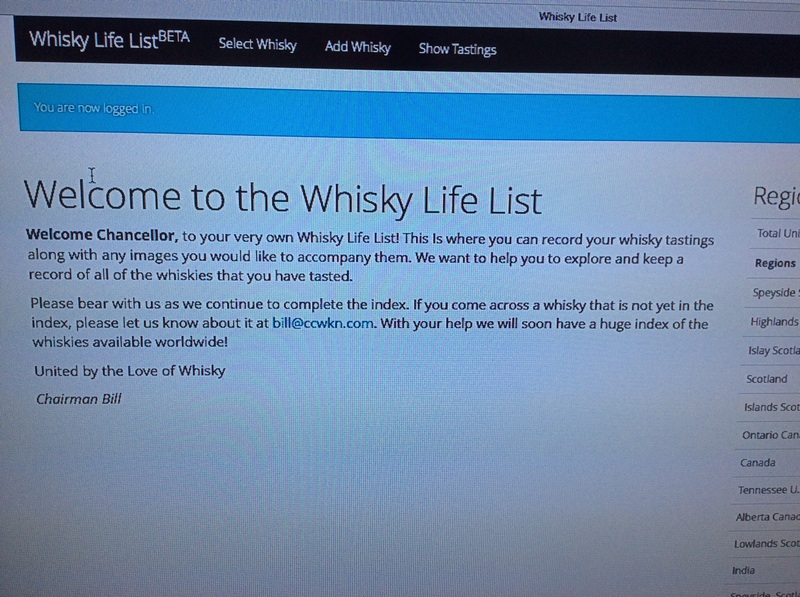 We look forward to working with students as they explore the Whisky Life List. 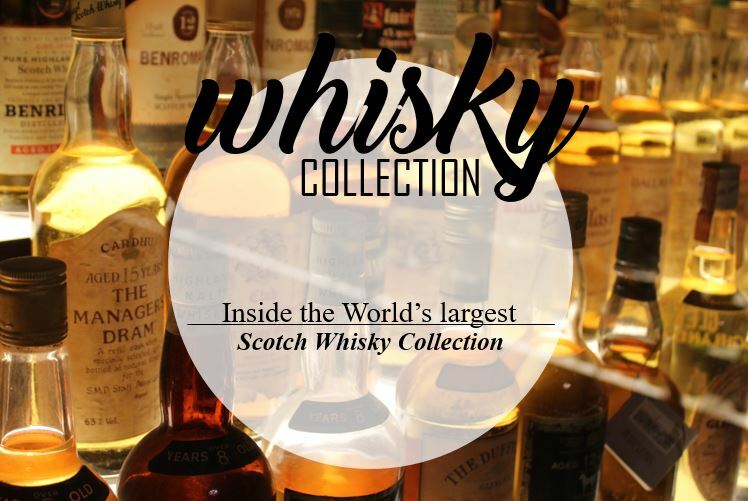 All students will have access to this personal archive that was created for those who want to keep track of the Whiskies that they have enjoyed. Here are some views of what the list currently looks like. We now have 1683 whiskies listed which is a good start. You can get some idea from the welcome page how it will flow. 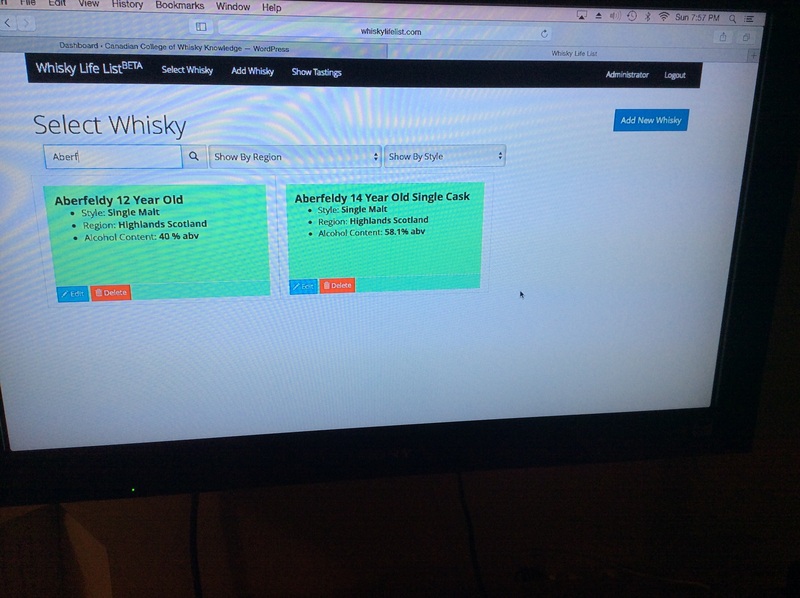 There is a search function area where the user keys in the name of the whisky and then, if the whisky is on the list, up comes the tasting note area. This is for the user to fill in as they see fit. We now have the ability to upload images to this tasting note area. This way a user can take some photos of the event where they enjoyed the whisky and have the images filed with the tasting note. It has been suggested that the ability to post to Facebook from the archive will be a big plus. We are looking into this. I was asked to help a friend put together a whisky education session for some folks who had never tried single malt scotch before. As I researched the whiskies I decided that we would taste six different whiskies along with water and some crusty bread and plain soda crackers to cleanse the palate. Please do not consider this to be the definitive tutorial structure. It does give some useful information to students and instructors alike. Each student had six glasses in front of them along with a tasting record. The students were given a brief talk on why whisky is served at room temperature and one or two drops of water may be added after the first taste of an individual whisky to release additional flavours if so desired. The addition of water is an ongoing discussion among whisky lovers. I think that it depends on the whisky and the individual tasting the whisky. The tasting grid had the six whiskies down the side. The order of tasting was: Auchentoshan 12 years, Glenfiddich 12 years, The Macallan Gold, Arran Amorone Cask, Highland Park 12 years and Talisker 10 years. The top of the grid had colour, nose, flavour, finish and overall. The most room was given to overall. As the student tried the individual whisky the tasting notes from the distillery that produced that whisky were read out. 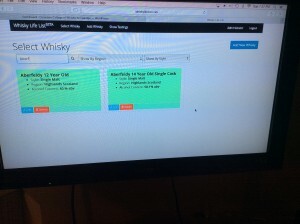 This was presented as one option of finding information about a particular whisky. There are many other resources that students can use to find out more. Within the group we had a wide range of opinions as to what whisky was preferred. Some liked the whisky with the most dramatic finish. Others liked the whisky that had been in wine casks to age. It is indeed a matter of personal taste and preference. The idea of having a group tutorial is to learn together. I always encourage students to learn from one another. It is quite possible that one of the tutorial students is well versed in single malt whiskies and has brought a friend along to introduce them to the variety of heavenly elixirs available. With the proper encouragement the tutorial can be further enriched with student input. I always take the opportunity to remind one and all that single malt whisky starts with three ingredients, malted barley, water, and yeast. It is truly amazing how many different whiskies with such a wide range of flavours began this way. We are all learning after all! This is a Highland region distillery. 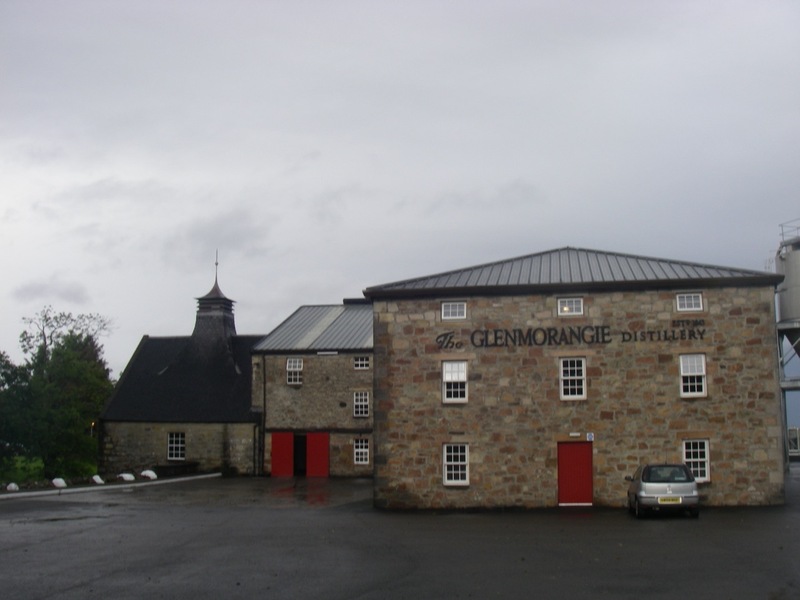 Glenmorangie is Scotland’s best selling single malt within Scotland. The tour guide was top notch and went the extra mile to drive me into town to catch my bus. Tasting Notes: Glenmorangie 10 year old Amber colour, light fruity flavour, light finish. Overall a lovely dram that is welcome to join my drinks cabinet.